Discover the incredible world of 'the Hobbit' as modern archaeological science uncovers secrets hidden in time. The discovery at Liang Bua cave in Flores, Indonesia. What happened to her species? What does this amazing discovering tell us about our own origins? 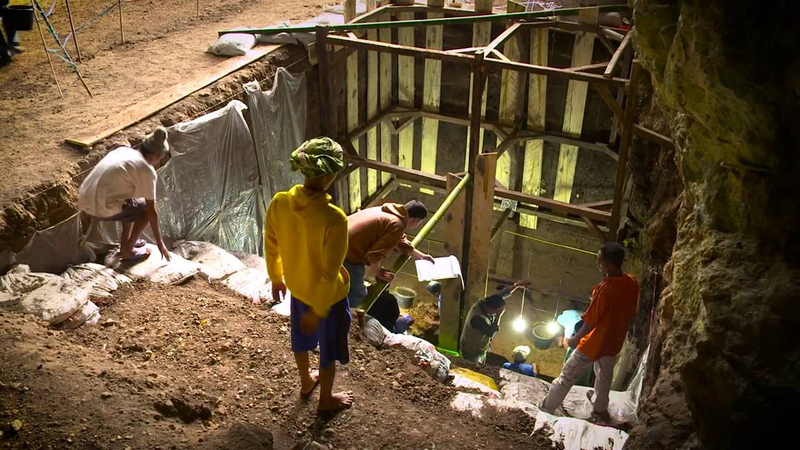 Learners interested in finding out more about the incredible and highly-debated discovery at Liang Bua cave in Flores, Indonesia, can enroll on this free course on the FutureLearn platform now. The course itself starts on March 6th 2017 and continues for 4 weeks, requiring approximately 2 hours of learning time per week. But as with all FutureLearn courses, learners are able to learn at their own pace and completing this course can earn you CPD hours too! All FutureLearn courses can be caught up at any time during its run. Users often enjoy the flexibility our courses provide. Explain the significance of the discovery of Homo floresiensis to the world of archaeology and human evolution. Debate the evolutionary implications of the discovery of Homo floresiensis and discuss the ensuing controversy and speculations. Identify, describe and compare layers within the stratigraphy of Liang Bua, and the characteristics of artefacts and skeletal remains (Hobbit and faunal). Compare and evaluate the application and impact of various multidisciplinary archaeological approaches for excavating and examining evidence from Liang Bua. Explain the role and application of a range of dating methods used to shed light on the chronology of the life and times of Homo floresiensis. Reflect on how the Hobbit fits into the broader story of human evolution, and the need for further research and expertise to address unanswered questions. The course is taught by two Professors at the University of Wollongong, Richard "Bert" Roberts and Zenobia Jacobs, both experts in archaeological science, human evolution and geochronology. Richard comments, "The discovery of the Hobbit has had a huge impact on our understanding of how humans have evolved and dispersed around the world," says Professor Roberts. "In this course, we steer learners through what we know about the Hobbit after more than a decade of research, and what pieces of this prehistoric puzzle remain to be investigated." Nigel Smith, Head of content at FutureLearn comments, "We're proud of the depth of content available on the FutureLearn platform and delighted that the expert educators at Wollongong will be offering our learners the opportunity to understand the significance of the discovery of Homo floresiensis and indeed the broader world of human evolution through the lens of archaeology." As with all FutureLearn courses, the course can be taken for free or there is the option to upgrade for £39 to get extra benefits. Founded by The Open University in 2012, FutureLearn is a social learning platform, designed to support learning through conversation. It offers 5.7 million learners free online courses from world-leading UK and international universities, centres of research excellence and specialist education providers like the British Council, Creative Skillset and European Space Agency. FutureLearn is an international platform with over 75% of its users based outside of the UK.